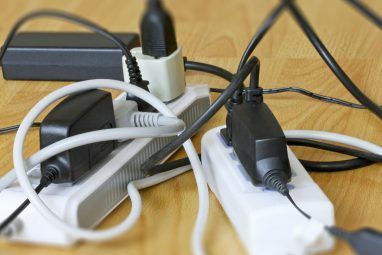 What’s the best way to super-charge your Chromebook’s functionality? Try out these two hardware hacks to make your device do more. We’ve already noted that Chromebooks make excellent travel companions Your Chromebook As The Ultimate Travel Device Your Chromebook As The Ultimate Travel Device If you're deciding which device to get for your next trip, you may consider checking out Chromebooks. But why choose a Chromebook for travel? Because, when it comes to travel, they are spot on. Read More – they are portable, lightweight, and Chromebooks have excellent offline capabilities Chromebooks Don't Work Offline? Debunking the Myths Chromebooks Don't Work Offline? Debunking the Myths One of the biggest criticisms aimed at Google's Chromebooks is that they are online-only machines – ergo, no Internet, no point. How true is this statement? Read More . 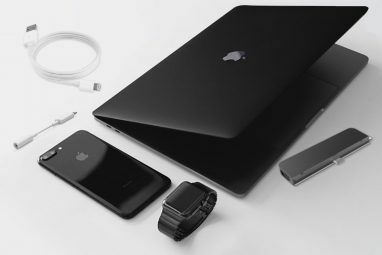 Yet if you are stuck on a train or travelling away from home for a long period, you might need more memory or to urgently need to get online. What should you do? With Chromebooks’ wide range of offline apps they still function extremely well without a data connection. 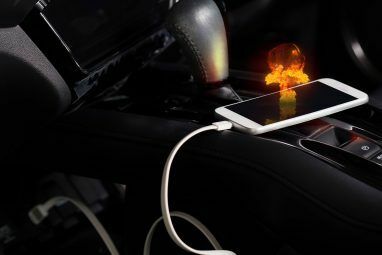 However, if you don’t have a 3G enabled model, then a portable hotspot or USB modem can provide you with a level of comfort in case of an emergency. 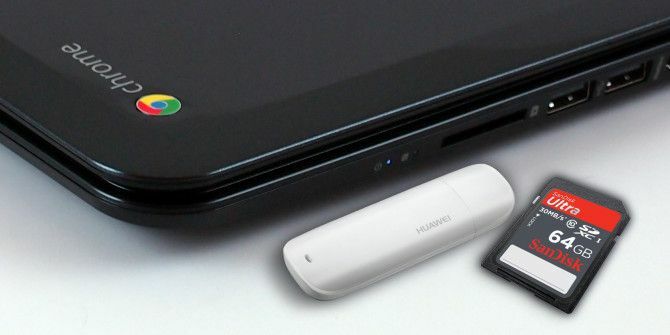 A USB modem plugs directly into one of your Chromebook’s USB ports and uses a network-provided SIM Card to give users mobile broadband on demand. Be careful before you buy, not all USB modems are Chromebook compatible. Chromebooks use Linux’s ModemManager packages and, therefore, will only support modems that use open-source drivers. If your modem uses binary drivers or licensed drivers that are not compatible with ModemManager it is unlikely to be supported by the Chrome OS. Good examples of supported modems are Huawei’s E173 and E303 models, available for $29 on Amazon and available for $60 on Amazon respectively. Once you have a compatible modem, all you need to do is plug it in and your device will either present you with a settings screen or will automatically recognise it as an Ethernet connection. Tip: If you don’t have a USB modem and desperately need internet access, remember most smartphones allow for either tethering or the creation of a Wi-Fi hotspot. Beware, this method will rapidly consume your phone’s data plan and battery charge. This is a good hack if you want to easily expand your Chromebook’s local memory without a cumbersome USB stick or external hard-drive. Although Chromebooks are designed to use cloud-based memory, some people will still feel lost with the measly 16 GB of local memory that most models are shipped with. Technically, there are only two ways to increase it – either pay for additional Google Drive space or open up your Chromebook to physically add more storage. The quick and easy solution is to leave an SD card permanently in your machine. The memory size of SD cards seem to be increasing by the day, and with 64GB cards now commonplace it will dramatically increase the size of your locally available memory at a fraction of the cost. The solution is also discreet and secure – most SD card slots on Chromebooks are on the side of the device so the card won’t be visible, and you are far less likely to misplace a SD Card left permanently inside your machine than you are to lose a removable USB memory stick. Ideally, you should purchase a Class 10 SD Card. Class 10 indicates a data transfer rate of 10 MB/s and will allow you to use the SD Card’s memory almost as seamlessly as you use the SSD. Amazon can be used to find a Sony 64GB Class 10 SD Card for $33, or a slightly pricier Sandisk SD card for $45. Remember, you can also increase the storage of a Windows 8.1-based device How To Increase Storage Space On Windows 8.1 Devices With SD Cards How To Increase Storage Space On Windows 8.1 Devices With SD Cards Windows 8.1 devices, even the tablets, are full PCs and often support SD cards. They are great for storing libraries, downloads, and SkyDrive files externally. We'll show you how to best use the extra storage. Read More by adding an SD Card. 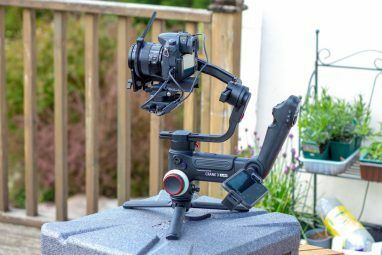 Of course, there are several more hardware add-ons that will improve your experience without dramatically changing the functionality. A wireless mouse, USB keyboard light and quality headphones will all help streamline your usage. It’s also recommendable to get a protective cover, especially if you travel a lot. Simple clip-on covers are lightweight, inconspicuous and will protect your machine against every-day wear and tear. If you’re not sure where to find one you should check Amazon, they offer iPearl shells for almost every Chromebook on the market with prices starting from $16. If you want something more robust you can buy carry-bags or neoprene covers that have been designed by the Chromebook’s numerous cottage industries. Case Logic, arguably the market leaders, offer cases from $11 on Amazon. Do you know of any accessories or add-ons that improve your Chromebook experience, or does it already do everything you wish for? Let us know your thoughts in the comments below. The only thing preventing me from going to Chromebook full time is the lack of the simple ability to create a locked folder on the external sd card (which is a necessity due to small hard drives) and not have the contents easily accessible if it pops out or the laptop is lost or stolen. I know the ONLINE drive options are secure but I need to be able to have external storage that is at least password protected on a chromebook. Any suggestions? MiniLock from Tech Republic will encrypt the files on your Chromebook sd card. It's available from the Web Store. I'm sure there are others that do the same thing. I got the SD card at your suggestion, but it sticks out from the computer. It can't be left in permanently. Might as well stick with the USB thumb drive since it's cheaper and you'll have to take it out every time anyway. Sorry to hear that Liza. Fits in snugly on my machine. Which Chromebook do you have? It's alright. I'll just have to get used to using the thumb drive and SD card instead of internal storage. There are a lot of other changes to get used to with my new Chromebook anyway. I do like it though. It's an Acer CB3-111. There exists an SD card adapter for Micro SDHC (the types of cards that go into phones). The SD card adapter stores the Micro SDHC card sideways and can be trimmed so it *barely* sticks out from e.g. an acer c720, one of the chromebooks where the SD card stupidly sticks out. I learned about this by googling around for a while. The adapter is $5-$8 from china and then you will want to get a class 10 SDHC micro (phone) card for the memory. Ctrl+ALT+T opens up Terminal in Developer Mode Enter "swap enable 2000" to add more Virtual Memory to your Chromebook. Also helps when your installing Ubuntu <---which runs seemlessly along side ChromeOS. Just download the Crouton File...I personally run "Unity" Precise on my Acer C720 but XFCE has a nice interface also...Theres also an APP on Chrome Web Store called Googulator which allows connection of "Eye Candy" Blootooth PS3 controller(Walmart). <-Ive tried several but this app has the right programming to recognize it. You will need to Re-Map the buttons the first time around, but runs smooth with downloaded Roms and even has a database feature built in. My Chromebook does the same no worries. I also am afraid it might bump something by accident while left in and damage the slot or the card or both. I have Acer C720P and I have bought one of USB Modems that are recomended in this article (Huawei E303) and it don't work. I plug it in and nothing happens. It works fine with PC. Any suggestions what to do? I have an Acer C7 Chromebook, it has suddenly stopped connecting to my home WiFi network. It will connect to others but not to mine. I have read that this is not uncommon with all Chromebooks regardless of who makes them. Some say that after a time, just as suddenly, it starts to work correctly. I've not heard of that problem... My only suggestion would be following one of the two formatting options - either Powerwash or Recovery - see here for details: //www.makeuseof.com/tag/two-ways-to-reformat-your-chromebook-powerwash-full-recovery/ ... Let me know if it helps. I've frequently had this problem. I can almost always fix it by logging out and then connecting as a "Guest", i.e. with no password. I usually try to clear my cache before I do this. I don't know what the deal is... anyone else? Have you tried removing the 802.11 profile for your home network and recreating it? I think you can do it from the chrome browser settings, 1st option. these articles are indispensible to users. but a list of approved add-on types would be most appreciated! references are made to such items but not enumerated. please help. can a usb optical drive[ plug and play type] be used? etc etc it's such a great system but adding and moving, and saving files is murky to say the least.help,oh help! I'd like to recommend people stay away from the Sandisk cards. There have been many many issues with file system compatibility and card longevity. I've had two go bad within a year. Now with Transcend and no problems! I like all the Chrome OS articles. Don't stop!